Missoula’s largest grocery business, Albertsons, has held preliminary talks with Sprouts Farmers Market Inc, indicating a possible merger that would continue the rapid consolidation of the nation’s grocery industry. Bloomberg said the discussions took place over the past few weeks and involved a plan to take Sprouts private. Doing so would add the organic and natural foods business to the Albertsons line of supermarket brands. Albertsons also acquired Safeway in 2015. That company had held a presence in Missoula for 72 years. 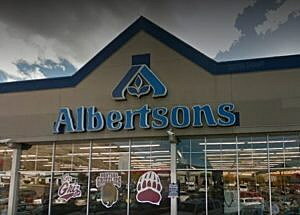 After the acquisition, Albertsons sold the two Safeway stores, which were later acquired by Craig Holtet and Ron Rambsbacher who converted the locations into Missoula Fresh Market. An acquisition of Sprouts would underscore the consolidation sweeping the U.S. grocery industry, as regional chains struggle to compete against online retailers such as Amazon.com Inc, big box stores such as Wal-Mart, and discount chains such as ALDI Inc.
Albertsons is one of the two most active industry acquirers along with The Kroger Co. A planned initial public offering for Albertsons has been delayed since October 2015. At the same time, Krogers stock is up more than 140 percent over the last five years despite falling 23 percent over the previous 12 months. Sprouts is among the niche retailers such as Fresh Market Inc and Whole Foods Market Inc facing pressure from Albertsons and Kroger, who now sell some of the same specialty and organic products at lower prices. Fresh Market was acquired by another private equity firm, Apollo Global Management LLC, for about $1.36 billion in cash in 2016. Albertsons is backed by private equity firm Cerberus Capital Management. Representatives for Albertsons and Sprouts did not immediately respond to requests for comment, while a spokeswoman for Cerberus declined to comment. Shares of Sprouts spiked to a four-month high on Thursday and Friday amid a surge in stock options trading.